The founder of several HEMA schools and events, Scott has been training and teaching martial arts for over thirty years and holds certificates of rank in multiple disciplines. 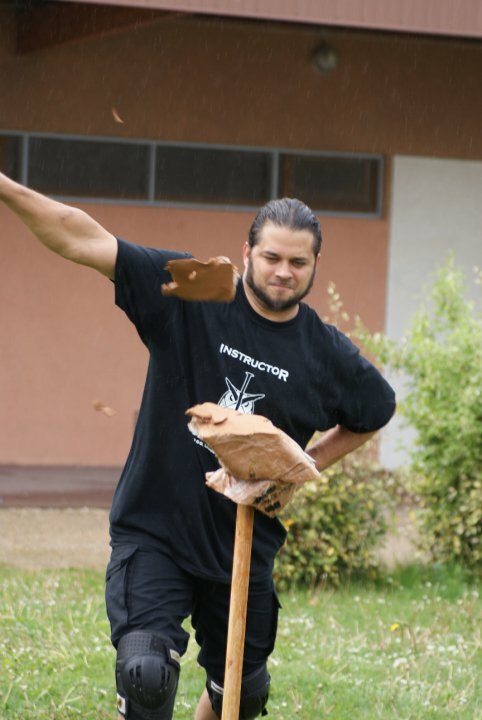 Since the turn of the century he has exclusively focused his efforts on the Historical European Martial Arts (HEMA) with a specialized focus on the swordsmanship aspects of the Kunst des Fechtens or “Arts of Combat” of the Germanic cultures amongst others. He is best known for his sword and buckler expertise of the “Art of the Priest” from the Royal Armouries Ms. I.33 and the various longsword teachings of Johannes Liechtenauer’s disciples. Secretly, he also enjoys dussack, singlestick, and a variety of sabre systems. Bringing his diverse expertise to WMA / HEMA, Scott has developed specific performance-based curricula for both swordsmen-practitioners and instructors of these arts. He continues to travel and teach all over the world and currently oversees OCHS America, a WMA / HEMA school in Orlando, Florida. As the Director of Fechtschule America, an event dedicated to HEMA, Scott coordinated some of the world’s largest modern tournaments and has helped develop numerous competitive rules and protocols for WMA / HEMA competitions around the world. These days, he focuses his competitive attention towards researching and exploring the historical competitive fencing formats in contrast to the modern competitions, as well as equipment and other related artifacts of the competitive and training environs. Scott was on the Board of Directors for the HEMA-focused academic publication Acta Periodica Duellotorum from its inception in 2011 until 2014 and is a founding member of the Western Martial Arts Coalition. He also operates HEMA Supplies (hemasupplies.com) and works closely with manufacturers of HEMA equipment to provide equipment and support the schools and practitioners of the European martial arts.